Note 1 map : ms., col. ; 94 x 532 cm., folded to 106 x 48 cm. Manuscript. In Japanese. Panorama. Mounted as a screen. Orientation varies. East Asian Library call number: Byobu 2 SPEC-Map. Full Title (Covers to) Shinpan Nihonkoku oezu. [after 1630] (Title on map:) Honcho zukan komoku. Note Description 1 map: hand col.; 68 x 166 cm., folded to 24 x 18 cm. Mounted cover title. East Asian Library call number Ca 11. Full Title Shinpan Nihonkoku oezu. [after 1630] (Title on map:) Honcho zukan komoku. Note Description 1 map: hand col.; 68 x 166 cm., folded to 24 x 18 cm. Mounted cover title. Wood block print. In Japanese. Covers Matsumae to Tsushima and Ryukyu. Shows Ezo east from Kanto region. 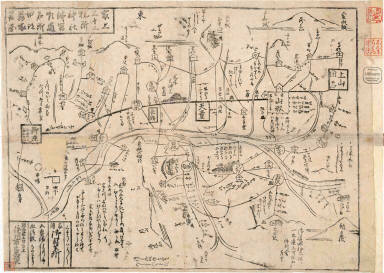 Shows distance of sea routes and main roads and kokudaka of daimyo. Includes legend. East Asian Library call number Ca 11. 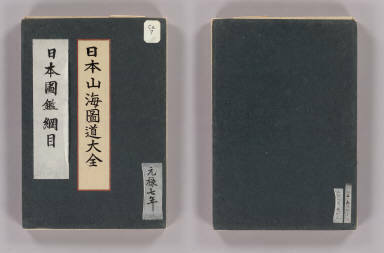 Full Title Sekaizu narabini Nihonzu byobu. Note Manuscript. In Japanese. 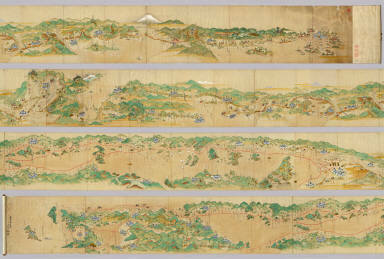 On verso: Tokaido gojusantsugi zu. Mounted as a screen. Includes 2 ancillary maps and a calandar. East Asian Library call number: Byobu 1 SPEC-Map. 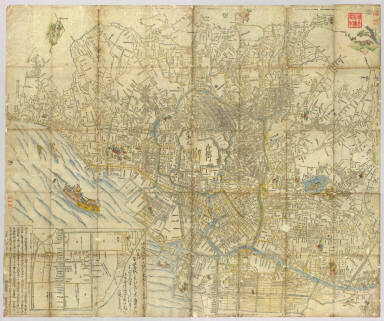 2 maps : ms., col. ; on sheets 71 x 230 cm. Note In Japanese. Oriented with north to the left. Includes list of distances. Shows the castle pictorially. Col. facsim. of ed. publ. : Shinpan Osaka no zu. [Kyoto] : Kono Dosei, Meireki  -- wood block print. Folded in cover 25 x 15 cm. + 1 leaflet (not scanned). East Asian Library call number: G1. Note East Asian Library call number: MJ03. Note Title from MS. label mounted on scroll. Hand scroll (wood block print). In Japanese. Panorama. Alternate title: Saikai zu. Scanned image shows the map in 2 segments. East Asian Library call number: MJ03. Note First of 2 scanned sections. Title from MS. label mounted on scroll. Hand scroll (wood block print). In Japanese. Panorama. Alternate title: Saikai zu. East Asian Library call number: MJ03. Note Second of 2 scanned sections. Title from MS. label mounted on scroll. Hand scroll (wood block print). In Japanese. Panorama. Alternate title: Saikai zu. East Asian Library call number: MJ03. Note East Asian Library call number: Ea6. Note Oriented with north to the right. Wood block print. Hand col. In Japanese. 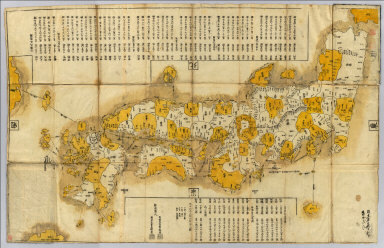 Shows land tenures of daimyo with crests. 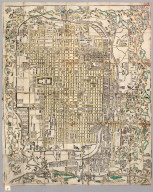 Shows temples and shrines pictorially. 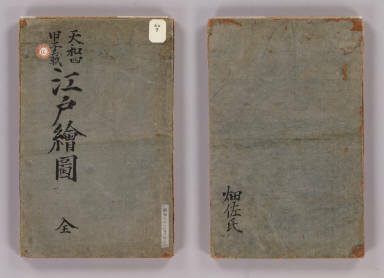 Title from Edo zu somokuroku /Iwata Hoju.p.14. Includes inset and legend. Folded in cover 26 x 19 cm. East Asian Library call number: Ea6. Author Hyoshiya Ichirobe, 17th cent. Note East Asian Library call number: Ea9. Note Wood block print. Hand col. In Japanese. Shows land tenures of daimyo and hatamoto. Shows temples and shrines pictorially. 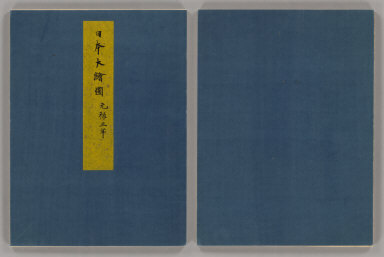 Title from: Edo zu somokuroku / Iwata Hoju. p.16. 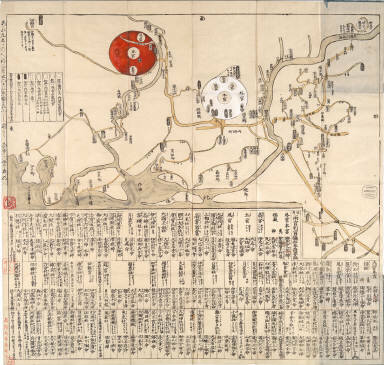 Includes distance chart and descriptive listing of daimyo showing crests and halberds. 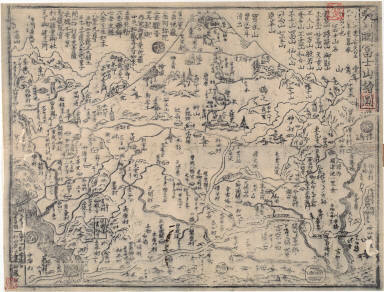 Includes inset of eastern portion of Edo. Folded in cover 28 x 18 cm. East Asian Library call number: Ea9. 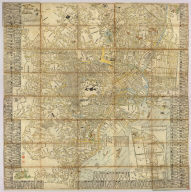 Note 1 map: hand col.; on sheet 71 x 163 cm., folded in cover 24 x 14 cm. Mounted cover title. Wood block print. In Japanese. Covers Matsumae to Tsushima and Ryukyu. Includes text and legend. Shows the distance of sea routes. Alternate Title: Nihonkoku oezu. East Asian Library call number Ca 43. Note East Asian Library call number: MJ02. Note Title from MS. label mounted on scroll. Hand scroll. Hand drawn col. panoramic map. In Japanese. Orientation varies. Scanned image is in 4 sections. East Asian Library call number: MJ02. Note First of 4 scanned sections. Title from MS. label mounted on scroll. Hand scroll. Hand drawn col. panoramic map. In Japanese. Orientation varies. East Asian Library call number: MJ02. Note Second of 4 scanned sections. Title from MS. label mounted on scroll. Hand scroll. Hand drawn col. panoramic map. In Japanese. Orientation varies. East Asian Library call number: MJ02. Note Third of 4 scanned sections. Title from MS. label mounted on scroll. Hand scroll. Hand drawn col. panoramic map. In Japanese. Orientation varies. East Asian Library call number: MJ02. Note Fourth of 4 scanned sections. Title from MS. label mounted on scroll. Hand scroll. Hand drawn col. panoramic map. In Japanese. Orientation varies. East Asian Library call number: MJ02. 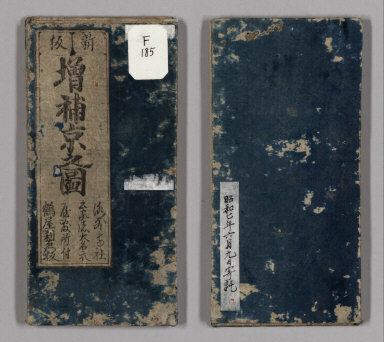 Full Title (Covers to) Kyō ezu. Note Only back cover remains: very pale green paper on soft thin cardboard. Note East Asian Library call number: Ea12.1. Note 1 map : hand col. ; 124 x 136 cm., folded in cover 27 x 18 cm. Wood block print. In Japanese. Oriented with north to the left. Shows main temples and shrines and the castle pictorially. Shows land tenures of daimyo with crests. Includes list of daimyo and inset. Title added by hand: O Edo onzu. East Asian Library call number: East Asian Library call number: Ea12.1. Note East Asian Library call number: Ca4. Note 1 map : 81 x 167 cm., folded in cover 29 x 22 cm. Title added by hand. Wood block print. In Japanese. Covers Matsumae to Ryukyu and Tsushima. Shows points of interest pictorially. Includes lists of main shrines and place names, seasonal diagrams, distance charts and legend. Shows kokudaka. Relief shown pictorially. East Asian Library call number: Ca4. 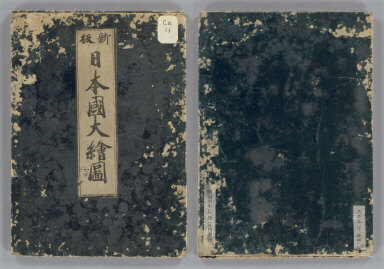 Full Title (Covers to) Shinpan zōho Kyō no zu. 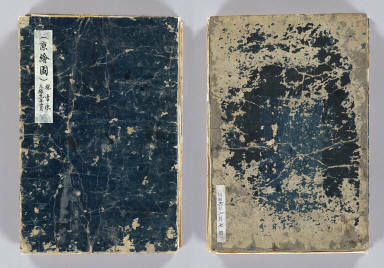 Note Stiff paper dark blue-green covers with black text on white labels. Shinpan zōho Kyō no zu. 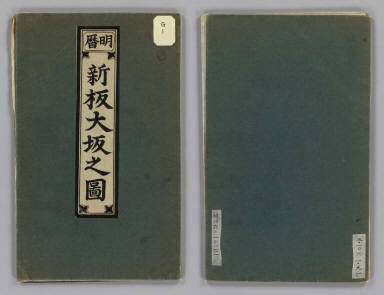 Full Title Shinpan zōho Kyō no zu. Note Japanese date Genroku 3  estimated. Folded. Mounted cover title. Wood block print. In Japanese. Relief shown pictorially. Includes index. 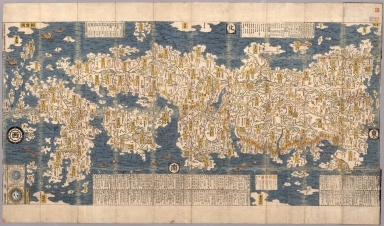 Title on map :Shinpan Heianjō narabini Rakugai no zu. Copyright by Honʼya Riemon. 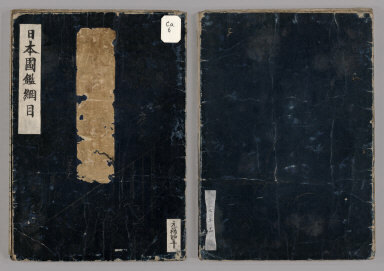 Full Title (Covers to) Nihon kaisan chōrikuzu. 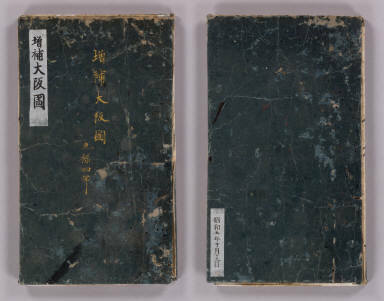 Note Covers dark green paper on soft cardboard. Text in black. Full Title Nihon kaisan chōrikuzu. 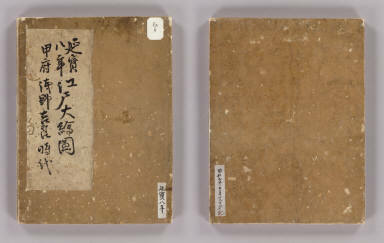 Note Japanese date Genroku 4 . In color. Folded. Wood block print. In Japanese. 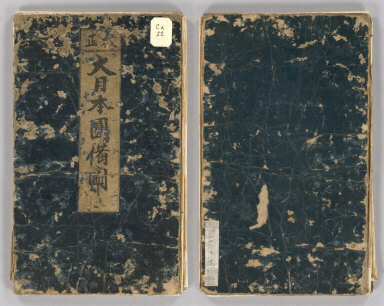 Title from: Nihon kohan chizu shūsei / Kurita Mototsugu. p.34. 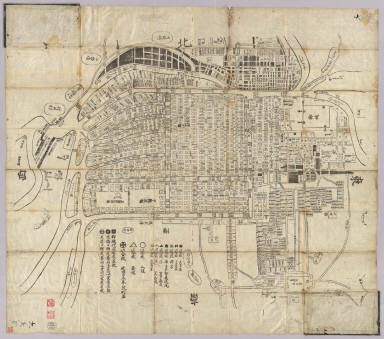 Covers Matsumae to Ryūkyū and Tsushima. Shows points of interest pictorially. Includes lists of main shrines and place names, seasonal diagrams, distance charts and legend. 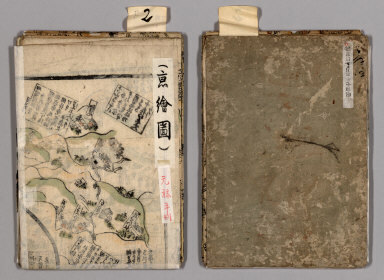 Shows daimyo and kokudaka. 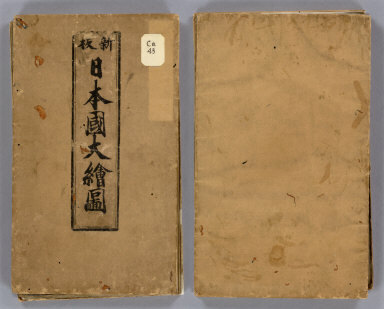 Note Title from : Kohan Osaka chizu kaisetsu / Sako keizo, p.30. Wood block print. In Japanese. Oriented with north to the left. Includes legend. Title added by hand. Folded in cover 19 x 11 cm. East Asian Library call number: G5. Note Wood block print, hand col. In Japanese. 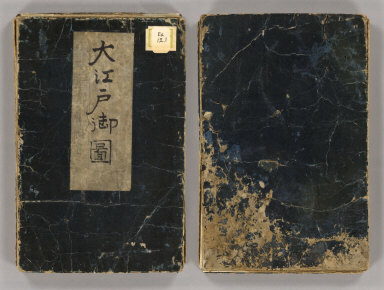 Title from: Nihon chizushi / Akioka Takejiro. p.139. Covers Matsumae to Tsushima and Ryukyu. Shows places of interest pictorially. Includes lists of shrines, 2 seasonal diagrs., and distance charts and legend. Shows daimyo domains. Folded in cover 26 x 18 cm. East Asian Library call number: Ca7. Full Title (Covers to) Shinsen zoho Kyo oezu. Genroku 9 . Note Hand col. wood block print. In Japanese. Title from: Kyoto zu somokuroku / Otsuka Takashi. p.16. Relief shown pictorially. Includes distance chart and index. Includes text on main temples and shrines. Folded to 24 x 16 cm. East Asian Library call number: F3. Full Title Shinsen zoho Kyo oezu. Genroku 9 . 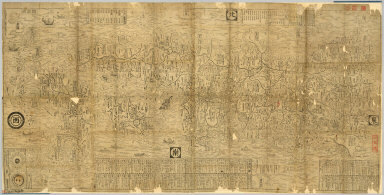 Note West sheet (shows Chinese boat at left). Complete map: 1 map on 2 sheets : ms., col. ; 107 x 534 cm., mounted on 2 screens folded to 122 x 48 cm. Manuscript. In Japanese. Panorama. East Asian Library call number: Byobu 3 SPEC-Map. Note East sheet. Complete map: 1 map on 2 sheets : ms., col. ; 107 x 534 cm., mounted on 2 screens folded to 122 x 48 cm. Manuscript. In Japanese. Panorama. East Asian Library call number: Byobu 3 SPEC-Map. Note Description 1 map: hand col.; 76 x 119 cm., folded in cover 26 x 16 cm. Mounted cover title. East Asian Library call number Ca 22. Note Description 1 map: hand col.; 76 x 119 cm., folded in cover 26 x 16 cm. Mounted cover title. Wood block print. In Japanese. Covers Matsumae to Tsushima, and Hachijojima. Shows distance of sea routes and kokudaka by province. Includes legend. East Asian Library call number Ca 22. Note Hand col. map folded in cover 14 x 10 cm. Mounted cover title. Wood block print. In Japanese. Oriented with north to the bottom. 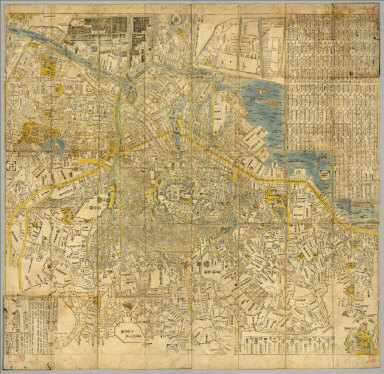 Title on map: Tsuiko ryogu betsugu sessha sankei yoro. Includes temples belonging to Ise Jingu. Shows distance between temples. East Asian Library call number Hb107.1. Note Folded in cover 23 x 16 cm. Wood block print. In Japanese. Oriented with north to the left. Relief shown pictorially. Includes haiku and waka poems. East Asian Library call number Hb108. Note Folded in cover 23 x 17 cm. Wood block print. In Japanese. Oriented with north to the upper left. 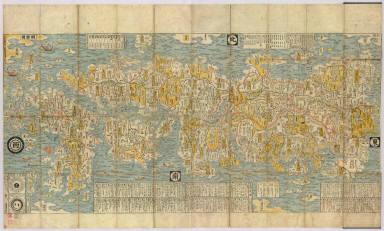 Pictorial map. Shows distance between points of interest. Includes alternative names for Fujisan. 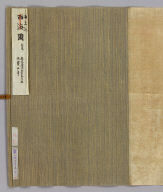 East Asian Library copy: portion of copyright is unreadable; title added by hand: Suruga no Kuni Fujisan ezu. East Asian Library call number Hb24.2.